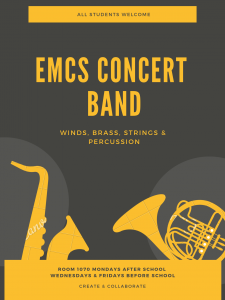 The EMCS Music Department features a Concert Band and R & B Band. 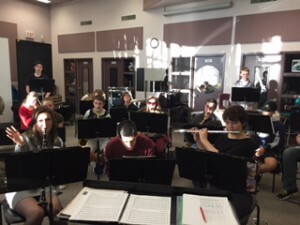 All Band courses take place outside the timetable. 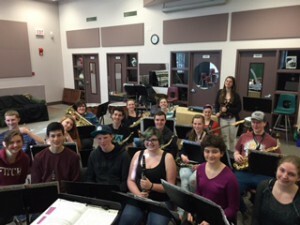 Our award-winning Concert Band travels to festivals on the island each year. Annually, we perform in our Winter Concert, EMCS Open House, and EMCS Awards night. Concert Band is open to all students of all abilities and experience level wishing to play brass, woodwind, and percussion instruments. 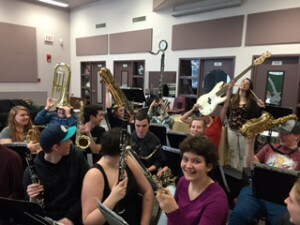 Concert Band is a year-long course. Students receive double credits (8 total) for their dedication to home practice, travel, and performances. The R & B Band will start in September 2016! 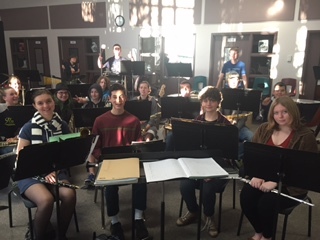 Vocal Jazz and Instrumental Jazz will combine to create a tour-de-force ensemble playing Pop, Rock, Jazz, and Blues music. Students playing Rhythm Section Instruments: piano, guitar, bass, drums are welcome. Horns like saxophone, trumpet and trombone are featured. Vocalists both male and female will be highlighted in lead and backup roles. 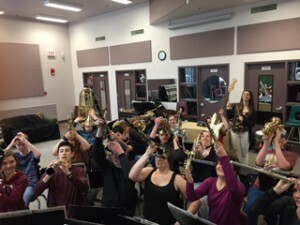 R & B Band is a year-long, 4 credit course.